Now that live video is proliferating through mainstream media, we’re starting to see more and more events being live streamed to the public. Events of all types are beginning to utilize the power of live video to share their content in real-time, from sporting events and concerts to the likes of awards ceremonies, high-profile fashion shows, and tech conferences. This is obviously great news for the general public, as they get to experience a live event, as it happens, from the comfort of their own home. The popularity of these events goes to show the appetite in the market for this type of live content. 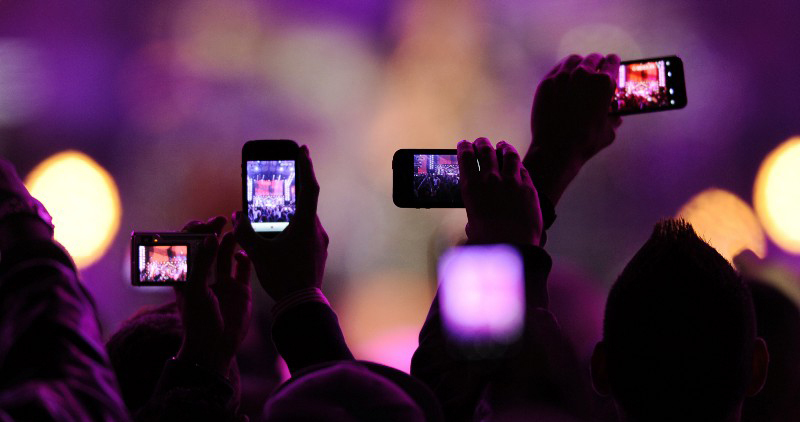 According to a recent study, 38% of people are interested in watching live broadcasts of events and music concerts. To add to the success of these live events, the simple addition of mobile live video can take it to the next level. Mobile live video can provide what a camera rig cannot — and that is full mobile access. By integrating mobile live video elements into event broadcasting, it can further enrich the viewing experience for the audience. Mobile live video turns an infinite number of people into potential contributors to a live broadcast due to the technology being stored on a standard mobile device and not an expensive camera rig. With that in mind, the possibilities are endless. With a wealth of potential contributors spread throughout an event, this will increase the chances of capturing ‘golden moments’ which could have otherwise been missed. Use mobile live video to follow people of interest around the event, so the audience can literally see what they see and go where they go. Give the viewers a chance to see what it’s like to be on stage, looking out into the audience or immerse themselves into the skin of a professional snowboarder, as he or she is going downhill at full speed. Show the audience what goes on behind the scenes. See the members of the production crew rush around the venue as they orchestrate the event with precision. Use mobile live video to its full potential, and capture live content that would otherwise not be possible due to the restrictions of standard camera equipment. Mobile live video should be used where possible, to complement standard live broadcasting, in order to enhance the overall viewing experience for the audience. We predict that this will certainly be the case going forward for the majority of events. With so many benefits associated with mobile live video, the future is looking bright for broadcasting live events. The best way is to test it out, check out Bambuser’s free 14 day trial to see how it fits into your workflow!